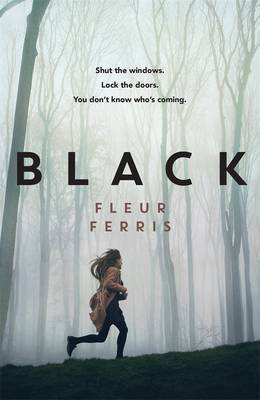 In Black by Fleur Ferris (Penguin Randomhouse Australia), new student Aiden invites protagonist, Black, to the Year 12 formal. She thinks it’s a set-up because no one would invite her to the formal. Of course we are then hooked and want to discover why. Black is attractive. What has happened to make her untouchable? We do discover that three of her friends, Jess, Louis and Oscar have died. She is haunted by Father Ratchet, leader of the Pure Apostles cult, who has recruited Black’s former best friend and now enemy, Ged. Black’s father is working in Antarctica and the local water plant and dams he normally oversees are being supervised by young man, Ed. Black works with him after school and this aspect of the story adds an interesting and suspenseful dimension. We learn some of the science (in an interesting way) and about the risk of poisoning the town’s water supply. Fleur Ferris is an exciting new Australian talent. 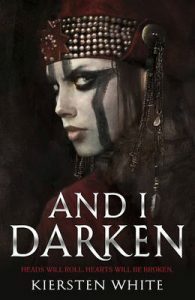 Her first published novel Risk recently co-won the YA category of the Sisters in Crime Davitt award. See Fleur’s interview here. Black is a fast paced, gripping read. 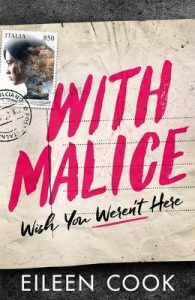 With Malice by Eileen Cook (Hot Key Books) begins with Jill waking up in hospital. She has lost her memory of recent weeks and has serious injuries. Even worse, she is accused of deliberately killing her best friend Simone in a car accident. The two girls were part of a group travelling around Italy (there are some similarities with Melina Marchetta’s adult novel Tell the Truth, Shame the Devil here). As well as hearing Jill’s point of view we are also given different perspectives by reading texts between Jill and Simone, police interview statements and forensic psychology reports. The ‘Justice for Simone’ blog shrilly asserts Jill’s guilt, dredging up old photos, rumours and comments out of context. The case against Jill accelerates until she faces extradition to Italy. It’s a superb psychological thriller: addictive and terrifying. Like the other two books, I was transfixed by And I Darken, first in a new trilogy by Kiersten White (Corgi Books, Penguin Randomhouse). Lada is the unwanted daughter of Vlad Dracul. Born in 1434 in Transylvania she is the antithesis of the usual princess, using strength, brutality and intelligence to keep her younger brother and herself alive despite the conspiracies of court and kingdom. This is an original historical fantasy for older readers set mainly in the Sultan-ruled Ottoman Empire with references to exotic Constantinople and Byzantium, now Istanbul.